POP! A magical comedy show !! With his faithful teddy bear, deckchair and fantastic basket of tricks, Christian Lee is all set for a lovely day at the seaside…until the day takes a turn and things don’t quite work out as planned. Join our hapless hero and be astounded in this totally word-free clown and magic show that follows his exciting adventures at sea. 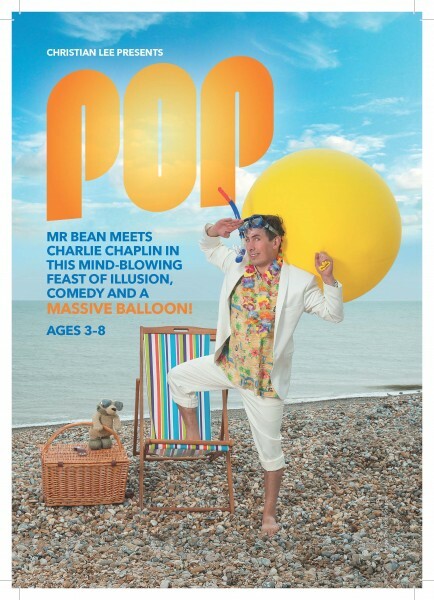 Mr Bean meets Charlie Chaplin in this mind-blowing feast of illusion, comedy and a MASSIVE balloon! The most fun-filled show for children and families around!